BALTIMORE (WMAR) — A body recovered from the Inner Harbor last week has been identified as a man who had been reported missing for nearly three months. On Sunday evening, police confirmed the body they recovered from the water off of Pier 5 on Friday was that of Chaz Faltz. This is the statement from Chaz Faltz’s parents. "We would like to thank the Baltimore Police Department Missing Person Unit for all their help. We would like to thank Kelly Swoope and her team at Channel 2 for broadcasting our story. We would like to thank his friends for all their help in getting the word out and helping with the search. We would like to thank everyone else for their continuous love, support and prayers. God answered our prayers. We asked for closure and God granted it. Now we can lay our son to rest and we can get some peace. Our God is still an AWESOME God! Faltz went missing on December 27. Friends say he left his bar-tending job at Home Slyce in Mount Vernon, and was never seen again. Since then family and friends frequently gathered in an effort to find him, even creating a Facebook group to get the word out. 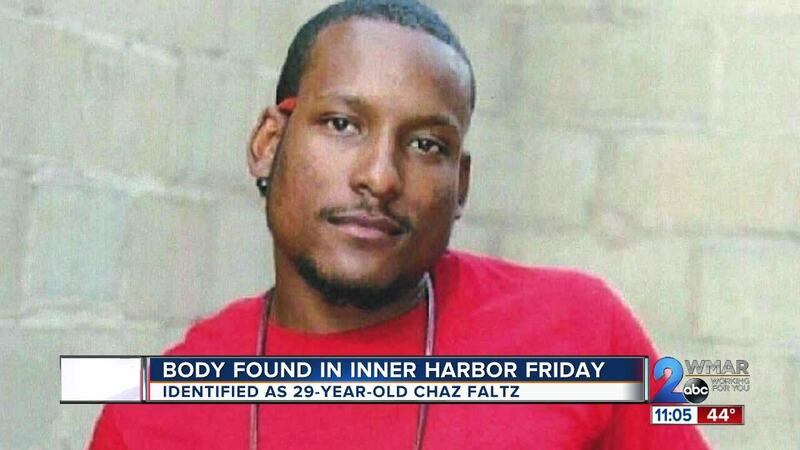 Family members had previously told WMAR-2 News that it was Chaz who was found in the water, but up until Sunday police wouldn't confirm if it was him.